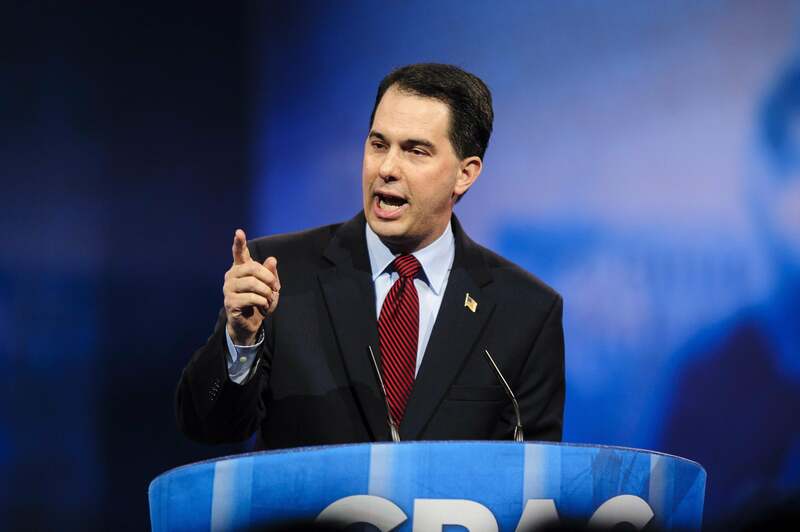 Scott Walker WaPo column: Why isn't Washington more like Wisconsin? Gov. Scott Walker forgot one important difference between Wisconsin and Washington. Tough but prudent decisions put us back on track. We enacted long-term structural reforms that include allowing schools to bid out health insurance, local governments to stop overtime abuse and the state to collect reasonable contributions for health insurance and pensions — all of which saved millions. Instead of austerity, we chose reform. At first, some legislative leaders balked at our plans. But we worked through their concerns and together we created legislation that not only passed but also produced positive results. But Walker forgot to include the quintessential reason Washington hasn’t passed such reforms—we have divided government at the federal level. In Wisconsin, legislative leaders may have “balked” at Walker’s plans (or, say, defected to Illinois to prevent a quorum) but at the end of the day he had the advantage of a solidly red statehouse. What does give Walker cachet when talking about the debt limit negotiations, however, is his ample experience with a very vocal minority party trying to prevent the executive from implementing its agenda. And while he chastised those quorum-breaking state Democrats back in 2011 for “shirking their responsibilities,” we’ve yet to see his column deriding Sen. Ted Cruz for using the shutdown as a bargaining chip against Obamacare. For the record, Ohio and Indiana are both run by Republican governors, and they both enjoy large Republican majorities in both houses of their state legislatures. The Burke campaign should find a different metric for measuring Republican governors’ efficacy, or, alternately, ask: what are Indiana and Ohio getting right that Wisconsin’s getting wrong?